We LOVE LOVE this sandwich. Every chance I get … I make it.. It’s delicious and easy. 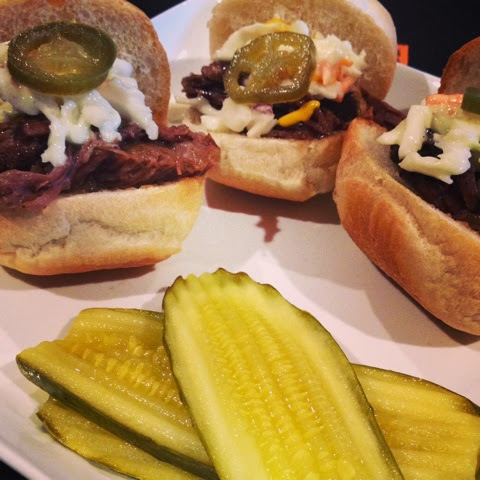 I usually serve ours with cole slaw on top… Lightly mayo and mustard. ****When I have left overs…I usually eat it with mash potato or on top of a bake potato. Mix all the ingredients in a bowl. 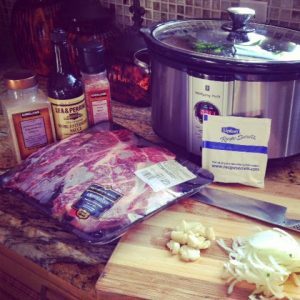 Place the CHUCK ROAST on the in the crockpot then pour in the ingredients over the chuck roast. 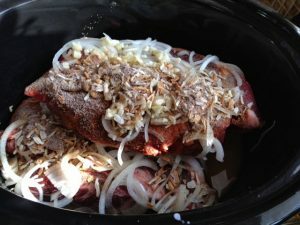 Set the crockpot on high for 8hrs. About midway..turn the chuck roast so that it can cook evenly.. Right before serving.. Taking a fork and shredded the meat. Then set the crock pot on warm. 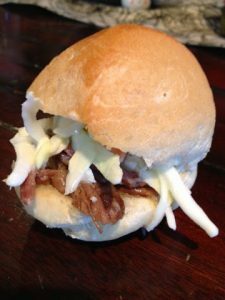 We love to eat ours on little mini buns or Sweet Hawaiian Bread with cole slaw and a little mayo and mustards!! !